Weka are fully protected on mainland New Zealand. These weka were once widespread, but on the mainland they are now only found in the hills between Matawai and Opotiki where a few thousand survive. Since 2000, weka have been released near Russell, in the Whirinaki Forest and there is a small population on the margins of the Hauraki Gulf near Auckland. These are the most common subspecies and are found throughout the Marlborough Sounds, scattered in other regions of Nelson, the upper West Coast, and Fiordland in the South Island. Buff weka were once common on the eastern South Island. They have been reintroduced to Te Pekekara and Waikatipu islands. They are abundant on Chatham and Pitt islands, where they were introduced in 1905. Stewart Island weka are found at a restoration site near Halfmoon Bay on Stewart Island, and some surrounding islands. Weka occupy a range of habitats including forests, sub alpine grassland, sand dunes, rocky shores, and even modified, semi-urban environments. The fact that some weka populations persist in highly modified habitats suggests that they can adapt to a wide range of environmental conditions. Weka mainly eat invertebrates and fruit. They occasionally eat chitons and other rocky coast invertebrates, lizards, rodents, food scraps, carrion, and the eggs and young of other groundnesting birds. Listen to or download recordings of weka song. 01:37 – Weka answering recorded calls. 01:07 – North Island weka giving territorial calls. 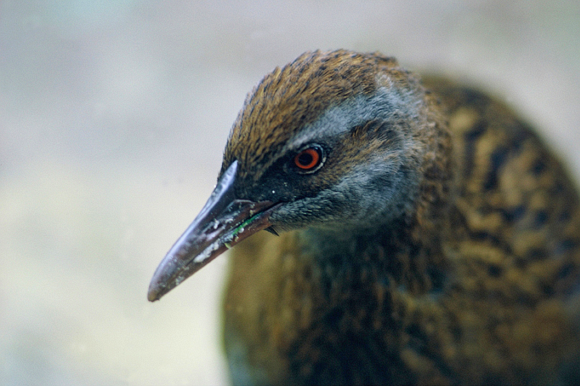 00:41 – Adult Western weka song. The stability, density and causes of decline of weka populations are linked in complex ways to the ecosystem of each local region. They are preyed upon by ferrets, cats, stoats and dogs. Competition with introduced species for native fruits and invertebrates. A change in forest and forest leaf litter composition due to the impact of introduced animals such as deer, pigs and possums. Habitat depletion, modification and degradation. Disease and parasites, although this is not well understood. Climate change, which could enhance the number or length of droughts and lower food and water availability. Motor vehicles causing road kills. Pest control operations where weka are exposed to poorly protected traps, anti-coagulant baits (some rat baits) or acute toxins (like cyanide). Weka can be killed by feeding on other poisoned animals (secondary poisoning). Safer toxins are now available. Weka stories: watch videos, read blog posts by our staff, and check out the latest news about weka and our work with these birds. Weka find it difficult to withstand the suite of pressures present in parts of the North and South Islands. If some of these pressures are controlled or eliminated weka can recover. In good conditions and high food availability they can breed all year and raise up to 9 young. Most pairs raise on average 2 - 3 young a year. 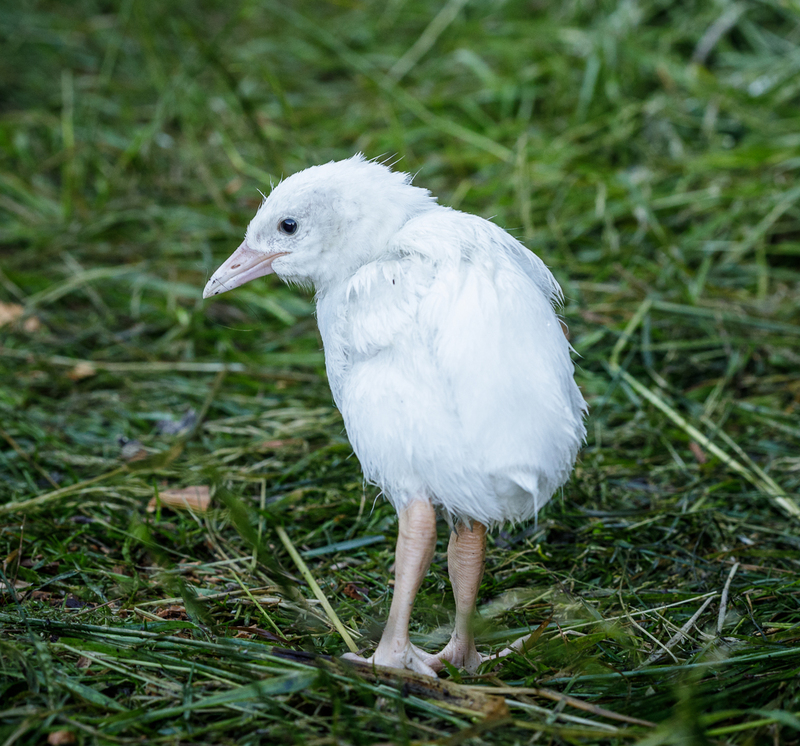 This Ngāi Tahu initiative was supported by DOC with the joint partners introducing 30 buff weka from the Chatham Islands in 2001. The birds have been successfully breeding on Te Peka Karara (Stevensons Island, Lake Wānaka) and other local islands since then, and Ngāi Tahu are now investigating the introduction of buff weka to a mainland site. Watch a video about the buff weka and find out more about this project. DOC's Weka Recovery Plan was approved in 1999. The plan promotes the recovery of the weka, outlines different management options, and a work plan. "To restore all weka taxa to their traditional range as a significant component of mainland and island ecosystems, ensuring that all taxa have the conservation status equivalent to Category 'C' or lower." "To improve the conservation status of threatened weka taxa, to clarify the status of data deficient taxa, and maintain the non-threatened status of other weka taxa." Weka can become a nuisance if you encourage them to take or find food near houses. They can also become a nuisance in some gardening situations as they are attracted to newly disturbed soil. It pays to do the digging first and then plant a day or two later to prevent your plants being disturbed. In droughts, place water away from the house and open your organic compost area to the weka. If you need to control rats use weka-safe baits (Coumatetralyl, Racumin®) or protected traps. Do not use second generation anticoagulant baits (Brodifacoum, Talon®, Pestoff®, Flocoumafen, Storm®, Bromadiolone) even in houses as the rats do not die there and can be accessible to weka. If you are concerned about weka feeding on newly sown crops or other disturbances, report the problem to DOC.